A combination of attributes, for instance shape, color, or even form that pleases the visual senses, particularly the sight. Beauty is a quality of an individual, creature, place, entity, and concept that offers a perceptual experience of pleasure or fulfillment. Beauty is researched as an element of aesthetics, faith, social human behavior, as well as culture. An “ideal beauty” is an entity that is admired, or possesses features broadly related to beauty in a specific culture, for excellence. The experience of “beauty” frequently includes an understanding of certain entity as being in balance and harmony with nature, which can result in emotions of attraction or emotional well-being. 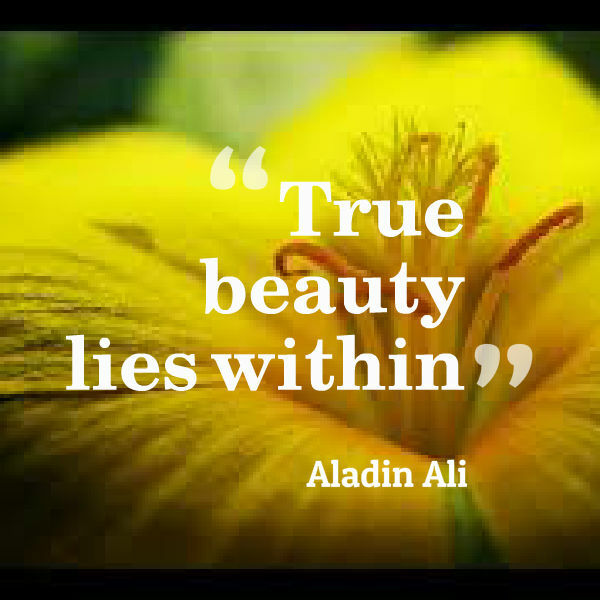 What is meant by the link between inner and outer beauty? The outer beauty originates from a unique source compared to the inner. The outer beauty originates from your mothers and fathers: their bodies produce your own body. Still the inner beauty originates from your own personal growth of consciousness you are carrying from your life experiences. In your uniqueness both of them are joined, the physical heritage from your mothers and fathers along with the spiritual heritage of your personal past lives, it is consciousness, it is bliss, it is joy. Therefore it is not vitally important that the outer will never be a reflection of the inner, nor will vice versa be accurate, that the inner will correspond with the outer. However occasionally it will happen that your inner beauty can be so much, your inner light is really much that it begins radiating from your outer body. Your outer body might not be beautiful, but the light which comes from your sources, your innermost sources of eternal life, can make actually a body that is not beautiful in the normal sense seem beautiful, radiant. Still vice versa it will be never true. Your outer beauty is just skin-deep. It cannot influence your inner beauty. On the other hand the outer beauty turns into a hindrance looking for the inner: you then become too identified with the outer. That is likely to look for the inner sources? Frequently it will happen that the individuals, that are outwardly extremely beautiful, are inwardly extremely unattractive. Their outer beauty hides them behind, and this is experienced by millions of people every day. You fall in love with a woman or a man, because you can see only what your eyes see. And just within a few days you start discovering inner state doesn’t correspond to their outer beauty.